The American company I-Life launched 3 laptops in India in April, with an initial price of 9,999 rupees, and these laptops will receive a powerful battery of up to 10,000 mAh. All of these laptops can be purchased from Flipkart. 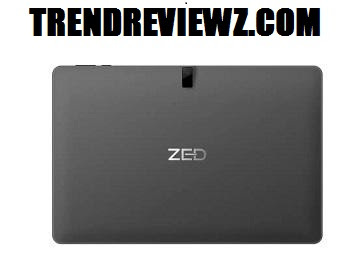 Of these, we had a 10.1-inch i-Life ZED Book Grin screen for review, which we used for 12 days. So, how many of these laptops and tablets worth 9,999 rupees are worth, and how much work is it for you? 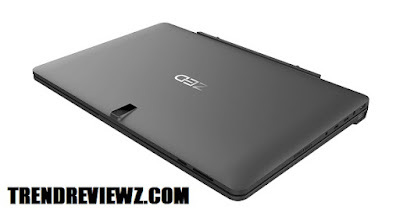 First you tell me the specifications of the laptop i-Life ZED Book Grin. 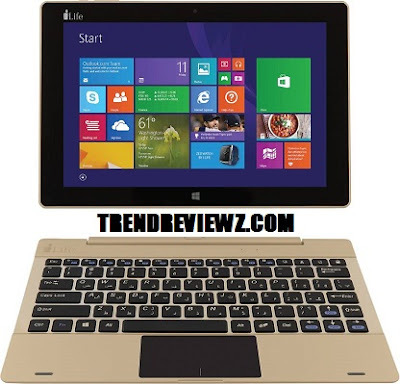 In this laptop, you get a 10.1-inch touch screen IPS screen with a resolution of 1280x800 pixels. The display can be separated by sliding the key of the keyboard, that is to say can be used as a tablet. This notebook has the Intel Atom quad-core processor with maximum clock speeds of 1.92 GHz and has 32 GB of storage with 2 GB of RAM. In addition to that, he received Intel's HD 400 card for graphics. In addition to this, Wi-Fi and Bluetooth V4.0 are also given. The laptop's cache is 2 MB. The laptop has a 5000 mAh battery, which takes 4.35 minutes for a full charge, although the backup is 5.50 minutes. This laptop will find you in the gold and gray color variants. The battery of the laptop will be in the display, that is to say in the tablet. In the laptop you will get a Windows 10 pre-installed in the laptop case, you will find a charger, an OTG cable, a user manual and a warranty card with a laptop. In addition, you'll find a USB port, a 3.5mm headphone jack, and an HDMI micro port, so you can connect to the projector. Talking about the display, the angle view is spectacular. The color of the display is also excellent, although the bezel around the screen becomes a little larger, which is good for the laptop mode, but it is not very fun in tablet mode. The brightness label is correct. 4 videos, 2160 pixels, can also be viewed easily on laptops. The speaker is on the right side of the charging point of the laptop. The voice of the speaker is very weak. In other words, we expected the sound of a smartphone speaker but we could not find the same voice. The body is poly carbonate and the weight is 1.03 kg. The design can make you crazy at first sight. The touch-pad of the laptop is great but the tracking is not as good. Many times, it happened to us that Windows minimized, so we just wanted to move the cursor. If the touch-pad area is large enough, you will not encounter any problem. Speaking of typing, you can work a little on that, but if you have to type more, you'll be bored. This laptop comes with Windows 10 Home 64 bit. It has 2 megapixel VGA web cameras in the back and front. This laptop is great for tablet mode, but you'll be bored in laptop mode, even if auto rotate is disabled in laptop mode, it goes into tablet mode and then automatically returns to laptop mode. . Apart from that, the laptop itself goes into tablet mode even if it leans slightly forward. To run the Internet in tablet mode, you will need to connect to Wi-Fi or hot-spot because this tablet is not a SIM card reader. During use, we found that it does not take much time to open a program. The performance is excellent depending on the software and hardware provided in the laptop. We had the speed of the Internet too well. Laptops have not been suspended even after opening many applications at the same time. There was no problem even during multiple tasks. The most striking thing about the i-Life ZED Book Grin is that it is the cheapest laptop with Windows 10 in the Indian market. After that, the performance is also good depending on the price. If you are a student and you need a notebook for light work or your father has retired, you can buy this laptop, but if you need to use software such as Photoshop, this laptop does not suit you.